If you didn’t know it before, you know it now — Spongebob Squarepants is officially a Broadway musical. 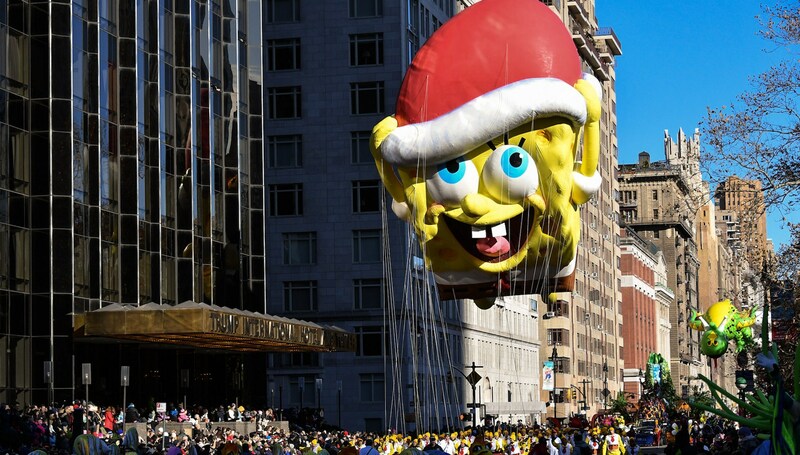 Many people watching the Macy’s Thanksgiving Day Parade on Thursday first discovered the news while watching the parade from the comfort of their living room. The shock, excitement and dismay were enough to get the guy who lives under the sea trending on Twitter all Thanksgiving morning. The discovery of the Nickelodeon cartoon on the Great White Way garnered lots of meme attention. The animated series began on Nickelodeon in 1999. Since then, it’s generated two feature films and millions of dollars worth of merchandise, and this year, it was picked up for its 12th season. After the incredible worldwide success about a cheerful sea sponge, the next natural step was Broadway. The show started previews Nov. 6, and its opening night is less than two weeks away on Dec. 4. The musical has been in development since 2014, so it shouldn’t have been a surprise to anyone — especially with the top caliber of talent involved in the show. There are original songs written by Steven Tyler and Joe Perry of Aerosmith, Sara Bareilles, The Flaming Lips, T.I., John Legend and Cyndi Lauper. It’s a full roster of Grammy winners and recognizable names from the music industry. So before you judge, know that Spongebob Squarepants is a pretty darn hip musical. Don’t be left out of the fun at Bikini Bottom. You might like it even more than you think.